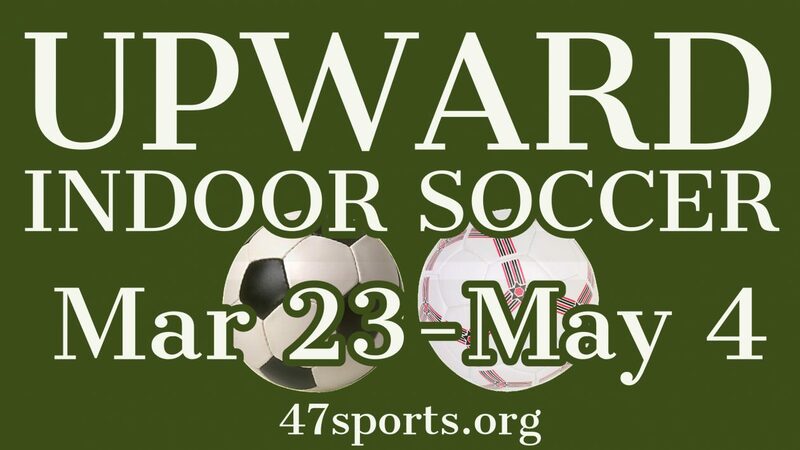 Upward Sports Indoor Soccer leagues are now forming at First United Methodist Church of Allen. FUMC Allen is proud to host this recreational level of soccer where children can learn the fundamentals of the game and grow both on and off the court. Upward Soccer is designed for young athletes to discover their passion for the sport as well as improve their game through healthy competition. Through leagues, camps, and clinics, Upward Soccer strives to develop youth mentally, athletically, spiritually, and socially. This indoor soccer league is for children in grades kindergarten through six. Teams play 5v5 or 4v4, and athletes register individually, not as a team. Our youth soccer leagues emphasize total player development, the building of team dynamics, and healthy competition. Specially designed game rules ensure that individual players get more touches with the ball and more opportunities to learn, grow, and succeed on and off the field. Each player must attend one evaluation session on either Monday, March 4, or Thursday, March 7, from 5:30pm to 7:30pm in the FUMC Allen gym. Team practices begin on March 18. Each team will practice for one hour, one day per week, on a Monday, Tuesday, or Thursday evening. FUMC Allen hosts a seven game season with games beginning on March 23. Players will play one game per week until May 4. We’ll also hold an end of season playoff tournament on May 4 for players in grades 4-6, with a celebration on Sunday, May 5. Cost of the league is $100 per child, which includes at least seven games, a team uniform, and registration discounts for families with more than one child in the program. The last day to register is March 4. First United Methodist Church of Allen is located at 601 S Greenville Ave in Allen TX. For more information about the Upward program, contact Matt Cobb, Director of Sports and Recreation Ministry, at MattC@fumcallen.org or call 972.727.8261.